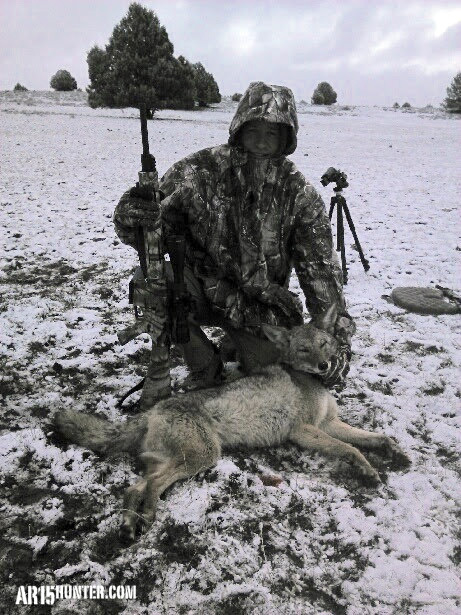 My name is Mark, and this is a recent predator hunt report from the forests of Northern California. I arrived at my buddy Stan’s place just before sun up and we headed out to call some dogs. This trip was a bit different for me because we were calling in the forest and I have always called in the desert or on cattle ranches. I wasn’t sure what to expect. On the second stand we scored by calling in a double. After about 10 minutes of calling, Stan whispered to me, “Do you seem em, there’s two!” They were about 275 steps out and were not coming in any closer. One of the coyotes just stood there staring at us, as the other one kept walking from side to side. I told Stan that I was going to take the shot. I was using my trusted Remington R25 in .243 caliber, with hand loaded 55gr Nosler Ballistic-Tip bullets. I lined-up the crosshairs right above the front leg and boom went the dynamite! 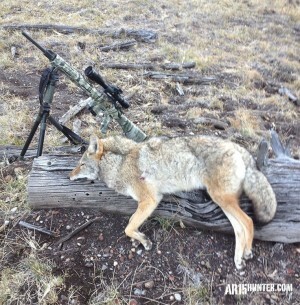 After the shot, I saw the coyote laying down taking a dirt nap. The other one wouldn’t stop moving, and then ran off, so I didn’t take a shot. Afterwards I wished I would have though. Why not, right?! A nice looking female coyote taken with the R25 in .243. 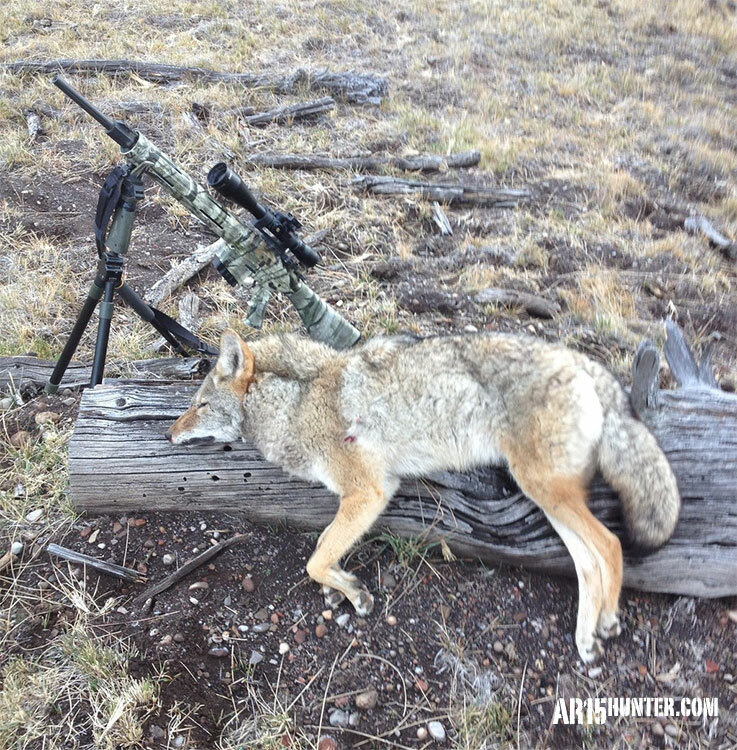 The R25 in .243 dropped this coyote quickly! The author with a nice NorCal Coyote! 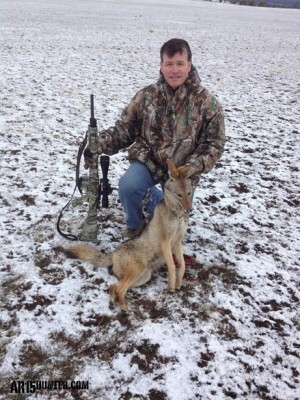 Editor’s Note: Be sure to check out Mark’s YouTube Channel (Click Here), for summertime action on ground squirrels, as well as more predator hunting, like this video of a “Coyote on the Run“.